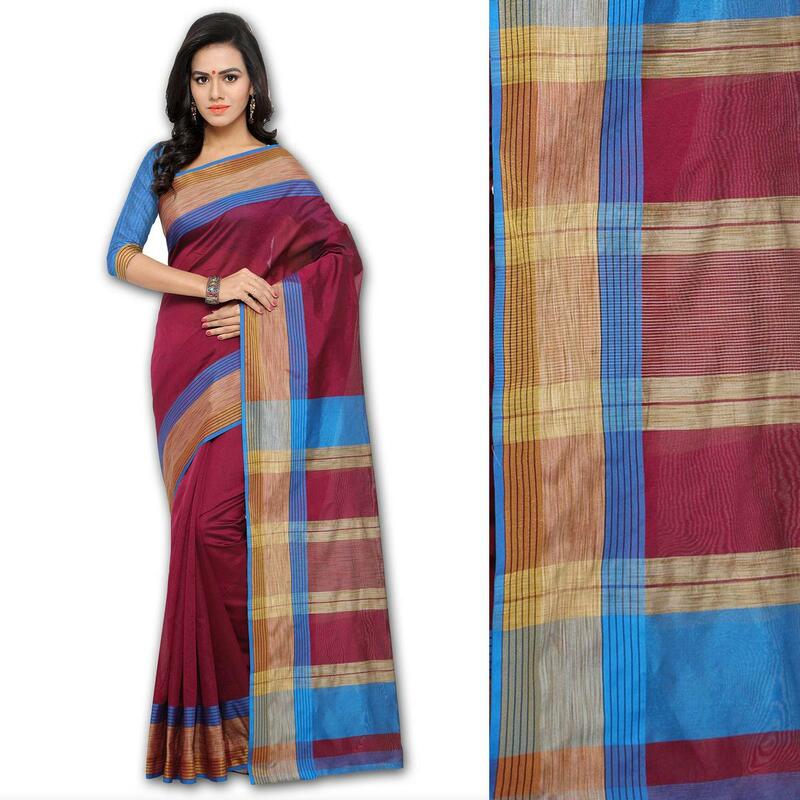 Enrich your ethnic collection with this maroon chanderi saree enriched with geometrical stripe prints & woven border. 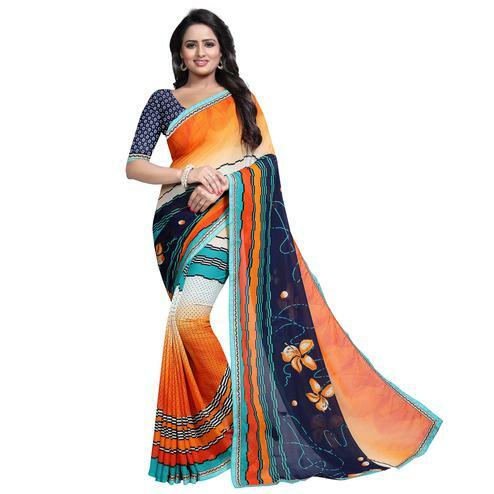 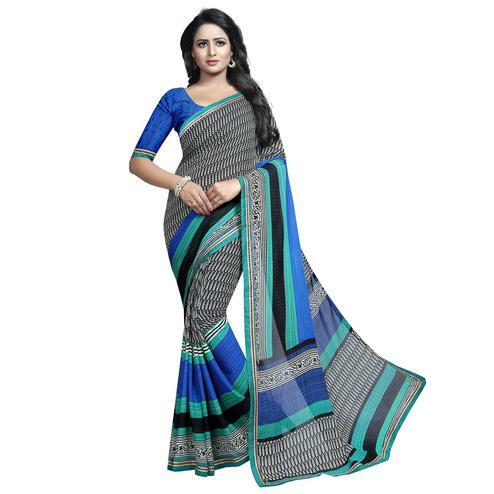 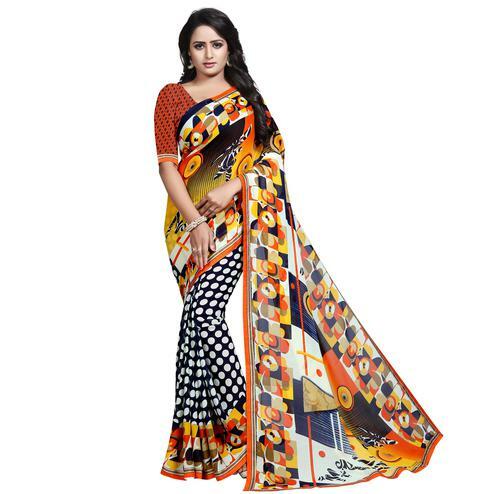 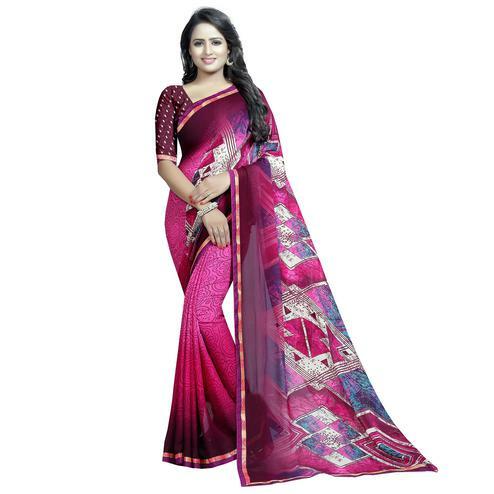 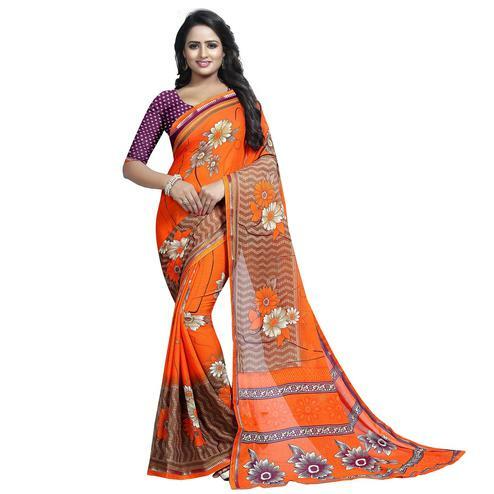 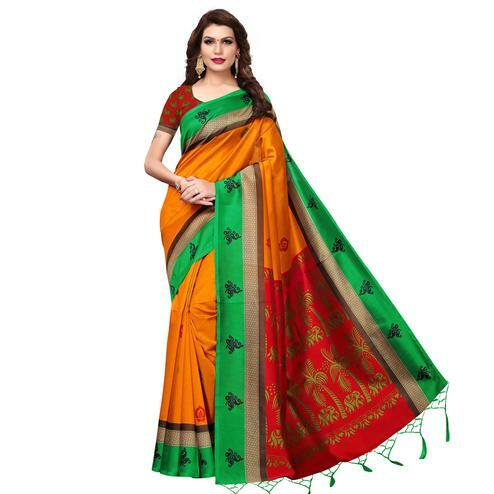 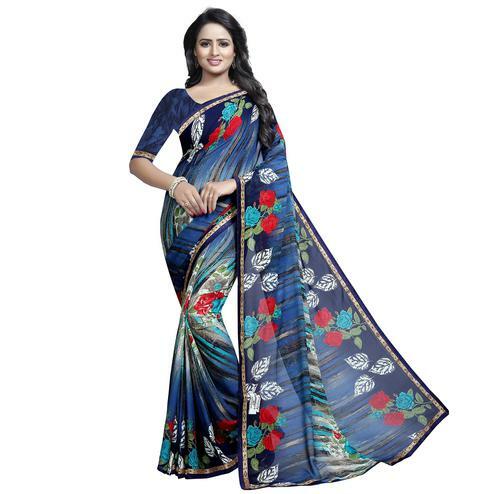 This saree is a perfect pick for casual outing & social get together. 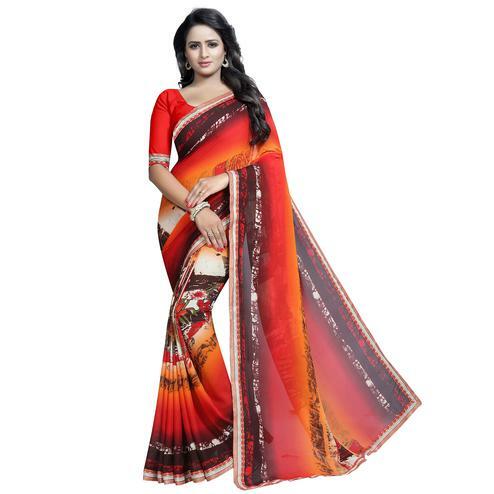 Saree comes along with red unstitched blouse piece.